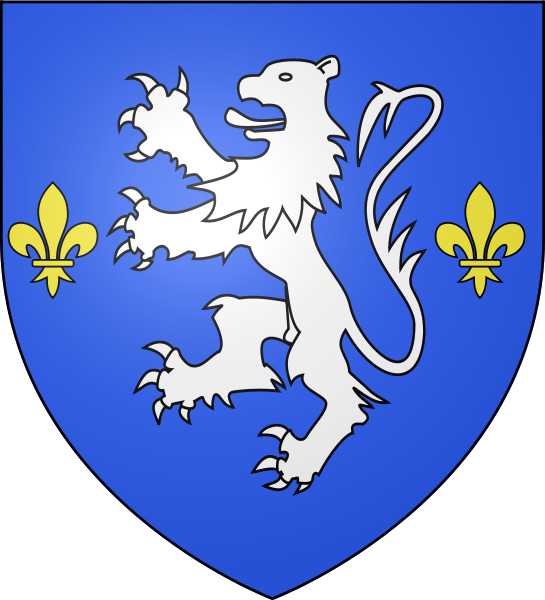 The shield, or escutcheon as it is also known, has a surface area called a field and it is the central area on which symbols and figures are painted that represents a coat of arms. In some cases, people today referred to coat of arms as a family crest. You can select any shape that you wish for your shield, but bear in mind that historically, a knight's shield was generally square at the top and coming to a point at the bottom and by about the year 1250, the shields used in warfare were almost triangular in shape, referred to as heater shields. A lozenge or diamond shape shield was usually used by women who didn't go to war, or for clergy who did not go into battle. 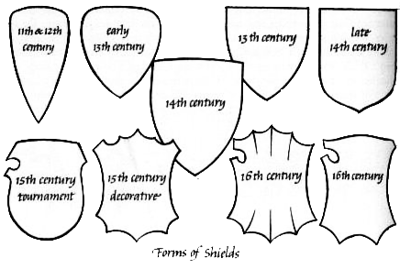 The shapes of shields have changed through time and have been adapted to the type of warfare or purpose that they served. For example, the shield of a printer or a bakery guild is far different from that of a warrior's shield that was cut straight at the top to protect the shoulders and chest area, and pointed at the bottom for easier mobility when sitting on a steed with knees up. To complete a knight's ensemble, the coat a knight wore over his armor would match the markings on the shield he carried, hence the derivation of the phrase "coat of arms." The field area of escutcheons are decorated with a variety of symbols, colors, and designs- this area of a shield is painted or covered over first with a layer of colors - either single color, multi colors, or with a symbolic fur representation that is applied over the surface or field. Single color or single fur shields are considered to be predominant, those shields that have more than one tincture (color) as most do, include fields that are most often divided or separated by partition lines that each have various names.